I designed this battle plan many years ago. It is my hope that you find the forms helpful in preventing confusion and over-spending at the curriculum fair. First this is the Curriculum Fair Battle Plan form. 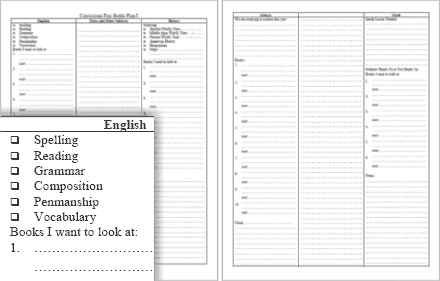 I have a web page here: (Surviving) The Curriculum Fair that describes why this form exisits. 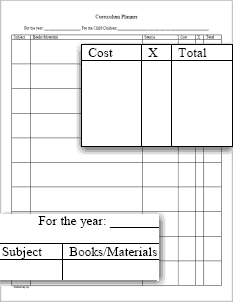 This form shown below is the basic yearly curriculum planner.